Cuisine | “Yama No Takohei Ryokan” in Hotaka Onsenkyo, Azumino City, Nagano Prefecture. 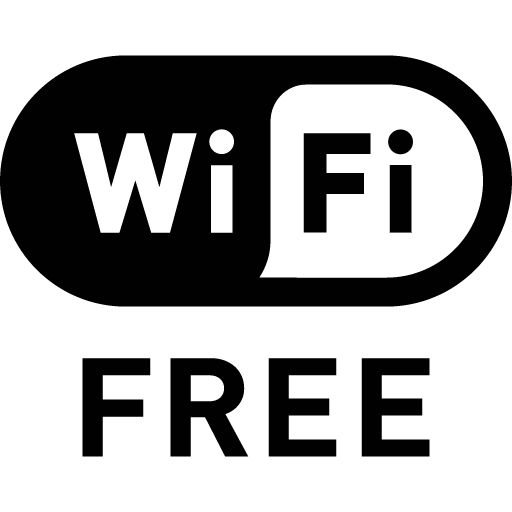 At Yama No Takohei, we are committed to serving safe, locally produced foods. 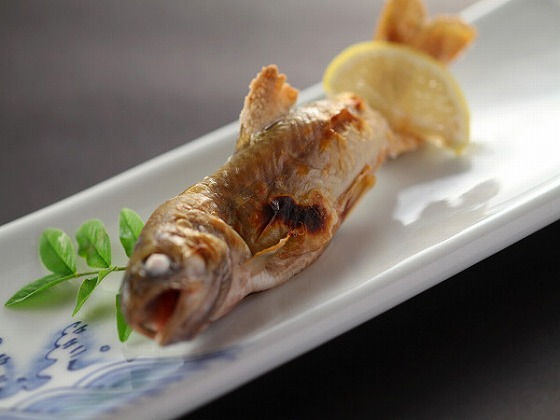 The Shinshu salmon is a delicacy carefully selected by the innkeeper. The miso served at the inn is homemade, right from the fresh soybeans through to the finished paste. Please relish the flavor of real Shinshu miso. The specialty “Hakuba reared SPF Pork” is exquisite. 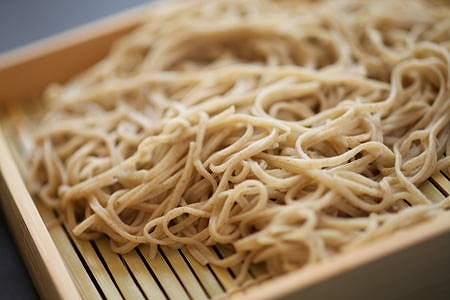 Authentic buckwheat noodles, hand-made at the inn using stone-milled, buckwheat flour from Azumino. 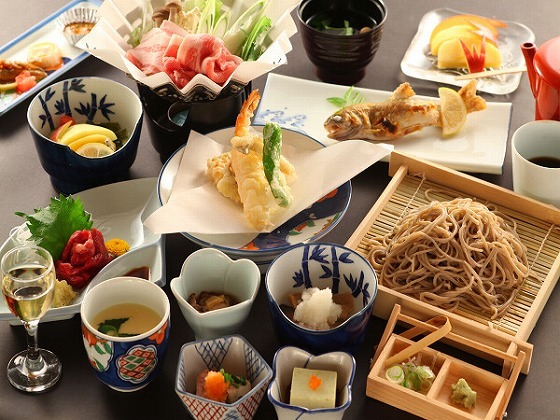 ・Also served in the standard kaiseki course plan. ・It is also possible to arrange a plan without buckwheat noodles. Please request at the time of booking. 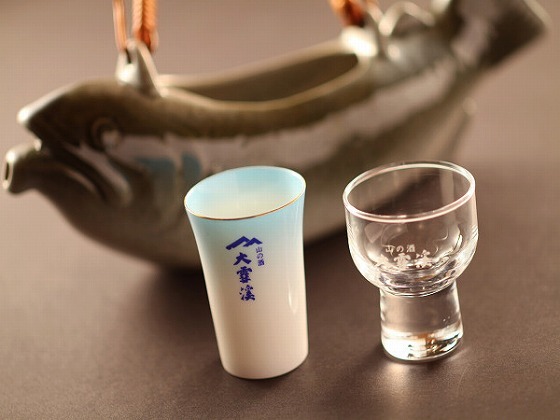 We offer a variety of local sake and regional cuisine. There may be times when these are not available. Thank you for your understanding. 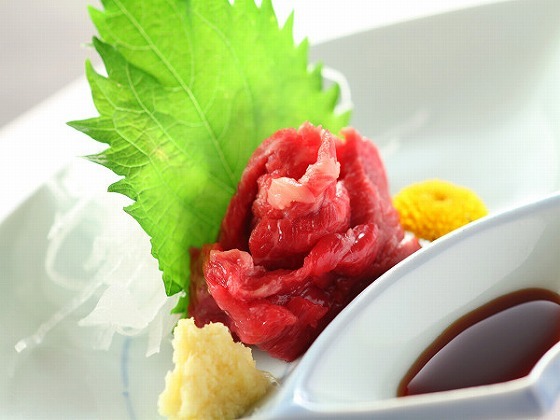 Horsemeat sashimi is the most popular item on the inn’s side menu. Horsemeat has many well-balanced nutrients. It is high in protein, low in calories, and also contains beneficial substances such as minerals and glycogen. In recent years, Japan has seen a game-meat boom with horsemeat proving particularly popular among women. Grilled char and trout from the clear streams of Azumino. A delicious specialty without a strong odor. 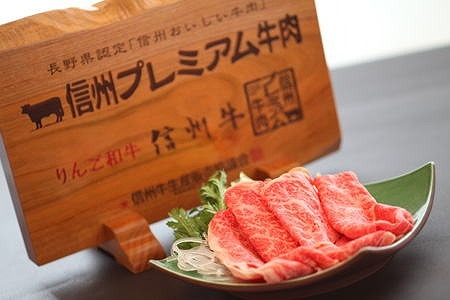 Produced from cattle (Japanese Black Cattle) reared on farms certified for their safe agricultural products, only meat that meets Nagano’s strict taste standards (including the level of marbling and of oleic acid content that affects “aroma, and melting in the mouth”) can be recognized as “Shinshu Premium Beef” with the safety and peace of mind that this certification brings. It can be enjoyed with the Shabu-shabu plan (beef cooked by dipping in hotpot broth). The meat is ranked A4 or A5 (the highest ranking), an exquisite rarity that melts on the tongue.